Today, I want to share a list of publicly traded MLM Companies. I am not 100% sure if this is a complete list, but after doing my research online it should be pretty accurate. If you know of another MLM Company that is traded publicly, but not mentioned below, please leave a comment at the end of this article to let me know. Thanks. Founded in 1971, the NASDAQ is the second largest stock exchange in the U.S., behind the NYSE. In order to qualify for listing on this exchange, a company must be registered with the Securities Exchange Commission (SEC) in the US. It must also have at least three market makers and meet minimum requirements for assets, capital, public shares and shareholders (source). The OTC Bulletin Board or OTCBB is a United States quotation medium operated by FINRA for its subscribing members. It is used for many over the counter (OTC) equity securities that are not listed on the NASDAQ or a national stock exchange. This is a stock exchange based in Toronto, Canada. The Stockholm Stock Exchange is a stock exchange located in Frihamnen, Stockholm, Sweden. It was founded in 1863. It has become the primary securities exchange of the Nordic countries. More than 300 companies have been listed for trading (source). The BM&F BOVESPA is a stock exchange located in Sao Paulo, Brazil. As of December 31, 2011 it had a market capitalization of US $1.22 Trillion, making it in the 13th largest stock exchange in the world (source). The London Stock Exchange is a stock exchange located in the city of London in the United Kingdom. As of December 2014, the Exchange had a market capitalization of US $6.37 trillion making it the fifth-largest stock exchange in the world and the second largest in Europe (source). The top tier of the three marketplaces for trading over-the-counter stocks provided and operated by the OTC Markets Group. The OTCQX forum offers the best marketplace of these three tiers for companies that fulfill qualification criteria. To qualify for an OTCQX listing, a company must meet high financial standards, be current in its disclosure and be sponsored by a professional third-party advisor. I’d like to take a few minutes and talk about the pros and cons of privately owned MLM Companies versus publicly traded MLM Companies. I’ll also talk about the similarities and differences. A publicly owned company has stockholders. It has shares that can be traded on a stock market. Anyone can buy or sell ownership of the company. A publicly owned company has a board of directors and stock holders to answer to. On the other hand, a privately owned company is typically owned by an individual, or a small group of individuals. They make the decisions as to what is best for the company and remain in control of the company. Personally, I think privately owned MLM Companies are a better deal for distributors than publicly owned MLM Companies. (DISCLAIMER: This is just my opinion). Let’s start with the pros and cons of a publicly traded MLM Company. The major advantages of a publicly traded MLM Company are that they have a strong financial backing and a strong management team. It’s a big deal just to go public. There are a lot of hoops to jump through. They are highly regulated and watched closely by the SEC. They have to reveal their financial information and have lots of strict rules to follow. The major disadvantage of a publicly traded MLM Company (as I see it) is that the company is typically more concerned about keeping the stockholders happy rather than the distributors. The management team is at the whim of the stockholders. Privately owned companies also have advantages and disadvantages. The major two disadvantages are insufficient capital and a inexperienced management team (or no team at all). Many privately owned MLM Companies have insufficient capital for future growth, and a management team with limited experience. These two factors are the most common reasons so many network marketing companies fail. On the other hand, the owners have more control over the company and can do as they please (in a privately owned company). Since they don’t have to worry about stock holders and dividends, they can afford to pay out more in commissions to their distributors. Personally, I stick to privately owned MLM Companies. I’m not telling you what to do. This is just my opinion, based upon my own experience and beliefs. I just do not want to have to compete with stockholders for the payouts (as a distributor). I also like the idea of the business owner having control of the company, not a board of directors (who probably don’t have experience as distributors). However, what you decide to do is up to you! Both types of companies have advantages and disadvantages. I would tell you what I tell everyone else. Before you join ANY network marketing company, do your homework and research. Ask a lot of questions. Act as if you are investing at least one million dollars into the company. Be sure to compare at least three different network marketing companies before you join one. That way you have perspective. There you have it folks. 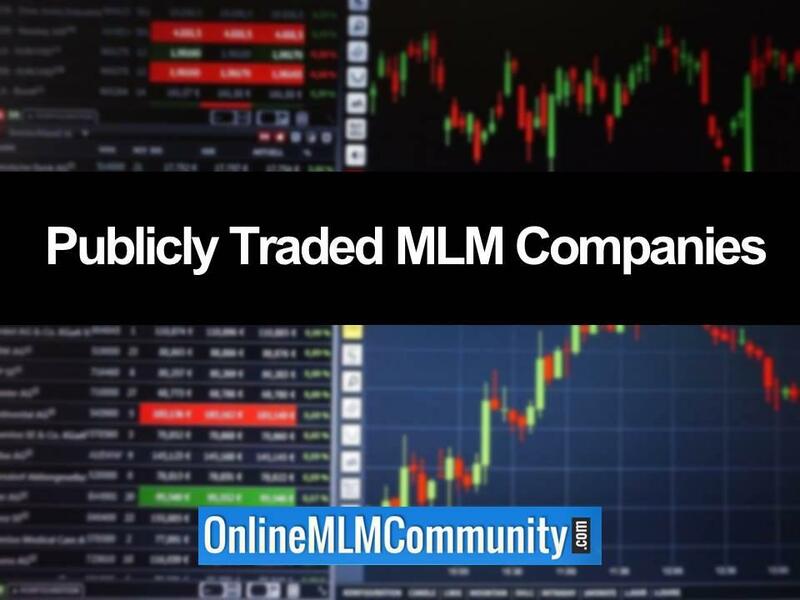 This is my comprehensive list of publicly traded MLM Companies, along with the pros and cons of publicly traded MLM Companies and privately owned MLM Companies. Do you know of a publicly traded MLM Company I forgot to add to my list? If so, let me know. Which type of company do you prefer and why? Leave a comment below to let me know what you think. I look forward to hearing from you. Have a great day! Your list is great however after my research, Primerica is actually not an MLM. It has the structure however it also has the structure of a corporation as well. It is a hybrid Financial Services company. This allows those who want different things such as part time work, full time work and franchise opportunities to work as well as change a goal if desired. Thank you for your research. I prefer public companies as their business practices are subject to the SEC and FTC which protects me from the whims and desires of sole proprietors. The majority of MLM’s pay 45-50% in commissions. Board of directors/shareholders are paid on the growth of the stock which is related to increase top end revenue and investor stability- not necessarily dividends. Typically dividends are paid after all exspenses/commissions are paid to distributors. eXp Realty is a multi-level marketing company that is publicly traded under the symbol expi. Sadly, I hold shares and am watching it gradually decline! Wish it would come back up one more time so I could sell the rest of what I have! Thank you… Do you have a Current List, like through Dec 2016…? Thank you for your input…!!! I thought herbalife was pyramid and not the same as MLM… what about mary kay, worwerk and thermomix? Thank u! Herbalife is MLM, aka network marketing. Mary Kay is MLM as well, but also has a big focus on direct sales. Worwerk is MLM and I have not heard of the other company. Doesnt MLM always imply direct sales? The two words are interchanged as if they mean the same thing. They do not. Direct sales is when you sell to a customer. 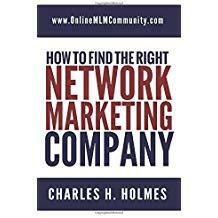 MLM is when you build a network of distributors AND sell to customers. Life Vantage is traded on the Nasdaq as LFVN. This is a good list. I wonder how long it took you to research and find this information. I’m honestly not surprised by many of the companies on the list such as Avon, Pampered Chef, and HerbaLife. . As big as many of them are and as long as they have been around, I would imagine that they would be publicly traded. There are some companies on the list that I am unfamiliar with though like Oriflame. I’ll have to take some time to look into that. Oriflame is a huge company in Europe.